Ahh, the Amalfi Coast of Italy, one of the most magical places on the planet. After a couple days in Rome, we rented a car and bolted out of the busy city to the southern coast. 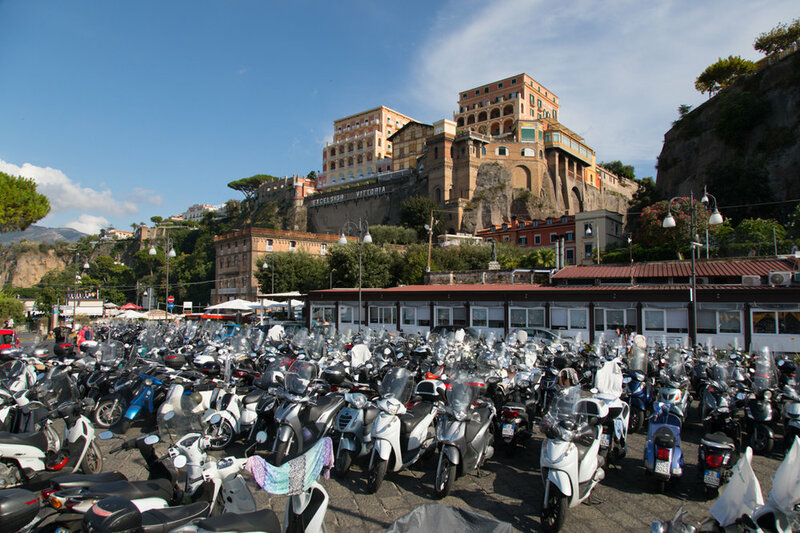 Though there were so many options of where to stay, we settled on Sorrento so we could be fairly close to Capri, Positano and Pompeii. We stayed in the cutest little bed & breakfast, just a couple blocks from the central square. There are several beach clubs down by the water so we rented some chairs and spent the first day in our bathing suits, swimming in the Gulf of Naples. It was sunny and the water was cool and so refreshing - a truly magical day in Sorrento!